larger companies in their industries. Find out how. technology you’ve already invested in. higher return on your IT investment. for a more mobile workforce? helps you achieve your strategic objectives. Minimizing downtime and maximizing productivity, Rete’s managed IT services ensure that your critical IT systems are always up and running to support your business’s core functions. Synchronizing your IT strategy to your business goals, Rete’s IT consulting services help you realize the true potential of your technological assets. Ensuring you round-the-clock accessibility and ultimate security against a reasonable monthly fee, our email and web hosting service ensure you seamless communication and a robust web presence. Get all the information you need to use your technological resources to their fullest potential with Rete’s network setup and documentation service. Serving your business’s communication needs today and tomorrow, the networking infrastructure built by Rete’s experts promise you fast and secure data delivery and minimal workflow disruptions. Making IT provision dramatically more agile and flexible, a transition to Microsoft Office promises your business unparalleled advantages of scalability and efficiency. Rete’s cloud mailbox and document migration services make the time-consuming and resource-intensive task of transition to the cloud quicker and simpler. Welcome to ReteConsulting. 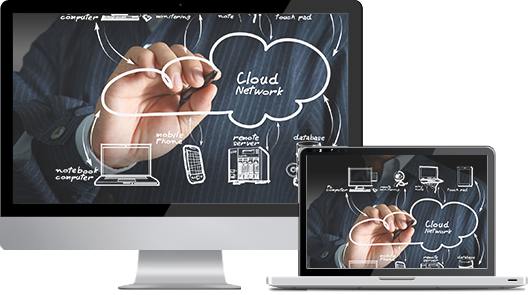 We provide Fully Managed IT Services. Your time is precious. You have more important issues to deal with than your computer network. It is, however, a critical enabler to your business and in need of attention to ensure it's running predictably, optimally and securely. Our Managed IT Services programs are the ideal solutions for an organization like yours, an organization that demands the utmost in network reliability and quality service. Rete Consulting delivers managed IT solutions and consulting services to small businesses with comprehensive small business computer support. We are regarded by many as one of the best IT support company, since we provide a wide range of services, which includes outsourced help, online support, help desk, and networking support. The best thing about working with Rete Consulting is that we provide fully managed IT services at affordable rates for small businesses. Our IT professionals will ensure that your business gets ideal computer and network solutions, as they will come onsite to your location, and will deliver quality services and network reliability. Just like you, these businesses were once dreaded IT. Not any more! We needed to refresh our ageing infrastructure and cloud was our obvious choice; however, the tedious task of document migration prevented us from making this decision for a long time. A colleague referred Rete Consulting and we were able to upgrade our IT infrastructure with their assistance. We started as a small business but experienced accelerated growth within two years of the inception. As a result, we feel challenged fulfilling the needs of our employees and customers while relying solely on the expertise and resources of our in-house IT team. Therefore, we consulted Rete Consulting and partnered with them. The most obvious benefits of the partnership are the comfort and security that their managed IT services brought. They have played a significant role in the growth of our business and we appreciate their support and assistance. We can help you design and architect the network environment that fits your company's needs and has room for growth. Augment the capabilities of your IT infrastructure for operational excellence with Rete Consulting. To learn more about how our experts can help you extract greater value from your technology investment, contact us at (512) 596-5001. Copyright ©2017. All Rights Reserved. Rete Consulting, Inc.